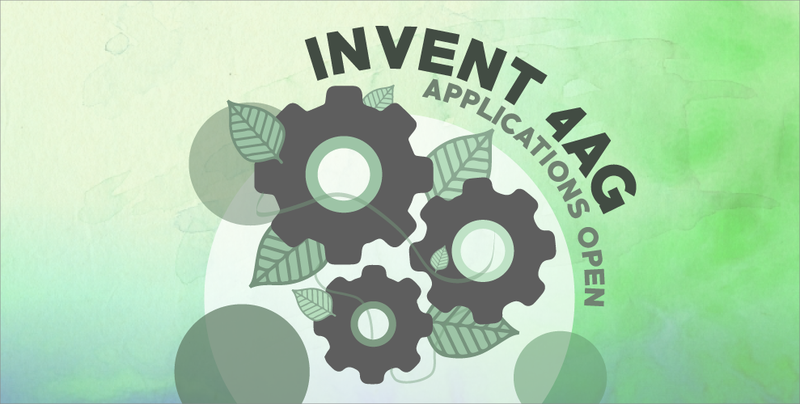 The 10-week product development and entrepreneurship program, Invent 4 Ag, has just opened its applications! This programme aims to help innovators by providing them opportunities to learn more about ideas, focusing on improving agriculture in Cambodia. It will also be a chance for them to build their initial functional prototype and work on their business model. A collaboration between Synergy Social Ventures, an impact investment fund, TRYBE makerspace, Archub, and MakerBay, a makerspace in Hong Kong; this unique program is the first of its kind in Cambodia. It aims to develop makers and impact inventors in the Kingdom, and foster creative problem-solving through the STEM method. The program kicks off with an introduction to agricultural product development in Cambodia and through a through a human-centered design process, participants will embark on a series of talks and field trips so as to understand challenges farmers face. This allows them to discover and empathise with issues that farmers in Cambodia face firsthand, inspiring them to design sustainable and useful product solutions to help their plights. On top of that, participants will also learn basic making skills like basics in woodwork, steel, 3D printing, and electronics. They will then put their skills to the test by building a basic aquaponics system on their own. Through building the aquaponics system, participants additionally learn about plant nutrition and the ecosystem. Afterwards, participants will engage in a mini-makerthon, where they will be provided with a budget to acquire materials to build their functional prototype. During this Makerthon, they will be required to ideate and design their initial prototypes. They will also conduct research and interviews to further understand their solution before building a functional and reliable prototype. The functional prototype will be then tested on an actual field or farm to show its viability. The program will end off with a bang, through a pitch session where participants can proudly showcase their completed product prototype and business model. To make this programme even more beneficial, participants will even receive guidance from renowned mentors and facilitators from various organisations in Cambodia and in the region. This will include experts in human-centered design, prototyping, business, agronomy and soil nutrition. 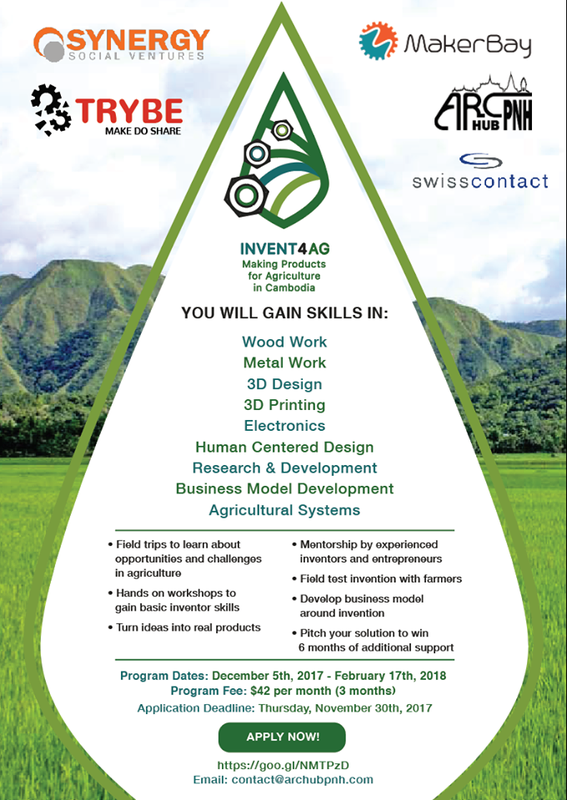 If you’re interested in applying, do take note that only 20 applicants will be chosen and preference will be given to those who demonstrate a commitment to learning how to prototype and make a difference in the agricultural sector! Also, the fee for the course is $42 per month, and participants are required to commit to the entire 3 month program, which is from 5 December 2017 to 17 February 2018. So if you think you have what it takes, head down to https://goo.gl/forms/a94vezkq6fzoA2Xk1 to sign up for the programme now! For more information, you can visit their Facebook Page here. You can also contact Nadia at nadia@trybekh.com or Kihow at Kihow@archubpnh.com for more details.